A few years ago, with the launch of the original HTC One M7, HTC introduced BoomSound, a marketing term used in reference to the phone’s dual front-facing speaker experience that offered an audio package not seen before on a smartphone. They coupled up BoomSound speakers with an internal software audio enhancement powered by Beats, since HTC owned a portion of Beats at that point. In recent years, though, as new HTC One phones have come and gone and the Beats stake sold back to Beats, HTC phones have started to ditch the dual front speakers, while BoomSound has morphed into what Beats on HTC phones used to be – a software audio enhancer. What I’m saying here is that BoomSound once referred to dual front-facing speakers, but it now only stands for a software audio enhancement in HTC phones. By carrying on the BoomSound name, HTC can say that every single one of their phones has an audio enhancement without building in the expensive hardware. It’s probably a smart move in the long run, but it sort of cheapens the idea. 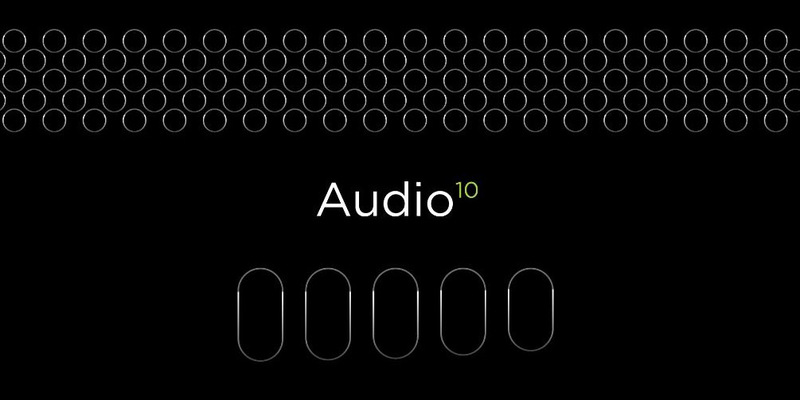 Either way, the new HTC 10 will have BoomSound in some form. The latest teaser tweet from HTC suggests as much by mentioning both “audio” and “boom” and the fact that you’ll “hear it.” So yeah, expect an audio enhancement in the software of the HTC 10, just don’t expect the BoomSound experience of old. By all accounts, and the dozens of leaked HTC 10 pictures, we’re looking at another single, bottom-firing speaker in the next HTC flagship. EDIT: As has been mentioned in the comments, there is still a chance that HTC uses the top earpiece speaker and the bottom speaker in some sort of dual capacity. The top dots in the image below, along with the elongated slits below could be in reference to those two speakers. My god, there is hope. BoomSound, though. On April 12.